A detective story in a hand-painted Edward-Hopper-style sci-fi world, full of riddles and puzzles, with a tone of pulp, horror and comedy. Inspired by movies and TV shows like: Donnie Darko, X Files, Stranger Things, Twin Peaks. 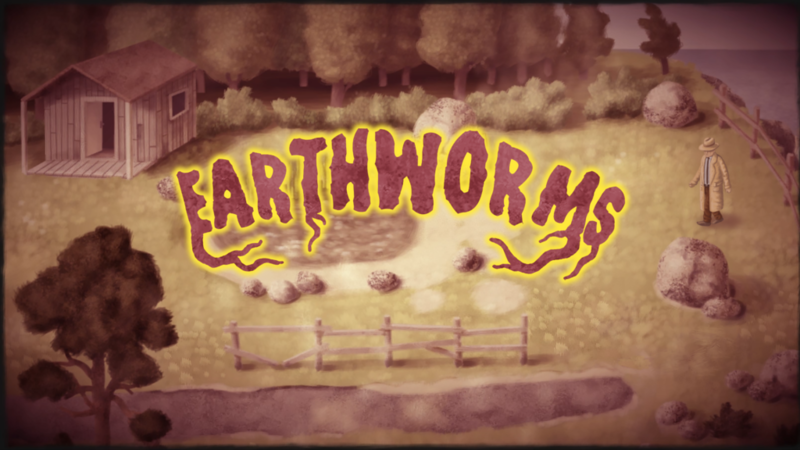 Game is already out on steam: http://store.steampowered.com/app/320330/Earthworms/.